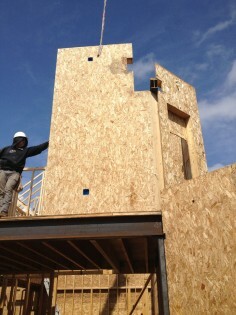 Panel installation. To assemble a DIY Tiny SIP House, most of these plans would require only a few panels, floor, roof and walls. 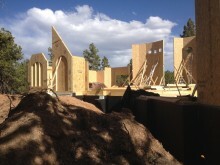 Just using SIPs for the floor system alone would save a Do-it-yourselfer days of labor. In most cases one panel would fit as the floor – Done! How great is that. 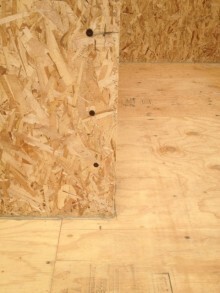 Similar with walls in that they would all be precut to the tiny house plan including window and door openings. And because we make a typical 8’x8′ SIP wall, you’d only need one panel (as noticed) on many tiny house plans. More DIY Tiny SIP House benefits? I’ve included this link for Tiny House plans. If you plan to build one, ask us for a free SIP quote before you decide to build. In addition, we’re here to answer any questions about SIPs and our Greenix Panels. If you have a DIY Tiny SIP House, let us know and we’ll post it here on our blog! Signup today and receive free SIP updates straight in your inbox. We will never share or sell your email address. The Livable Pod studio pod trend is Here! We have received great response from our readers. Once you complete your Tiny House project with our Greenix Panels SIPs, send us your photos and we’ll have your Tiny House showcased as our next featured project! Thanks for writing. 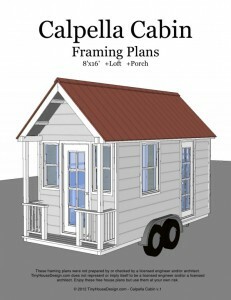 We’ve actually posted a link to a list of many Tiny House plans. 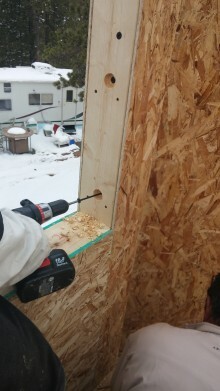 If you are interested in building your Tiny House using SIPs, you can submit a Request for Quote, upload the plans and we’ll give you a breakdown for wall, floor and roof panels, with cut-outs and electrical layout based on that plan. Featured Project: the SIP Monster grows!! © 2019 SIP Supply Blog.